Pandemonium #3 Available for Preorder! The city of Flecton is ruled with an iron fist by Demon Prince Vehr, whose human citizens suffer under demonic enslavement and live in fear of her ever-watchful presence. The prince herself is never seen, living in her underground palace and sending demons to kidnap skilled humans to serve her. Ten years earlier, Merle’s best friend and closest confidante Abeille, a promising silversmith, was taken to Vehr’s palace. Now, Vehr seeks a hairdresser, and Merle has exactly the skills she needs. Surviving the hairy situation will take more than wits—it’ll take good people to rely on, old friends and new. 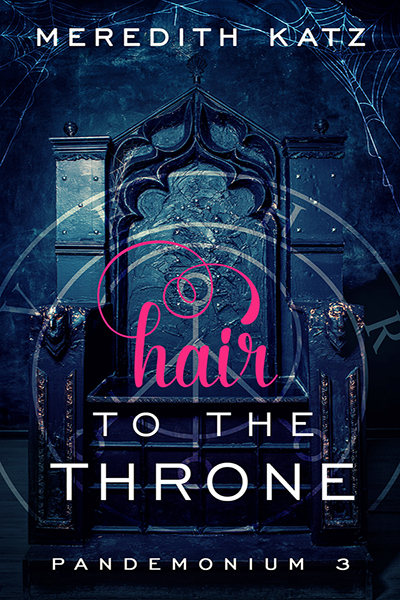 I’m so very excited to announce the upcoming release of the third Pandemonium book: Hair to the Throne! This new entry to the series will feature a reckless hairdresser and her very stressed silversmith friend as they grow closer while attempting to escape a terrible city ruled by a worse demon prince, with the help of a sympathetic cubant. It is available for preorder from Less Than Three Press. Preorder to save 15%!